VPN stands for Virtual Private Network. It’s a network of devices connected to each other and a remote server via the internet. 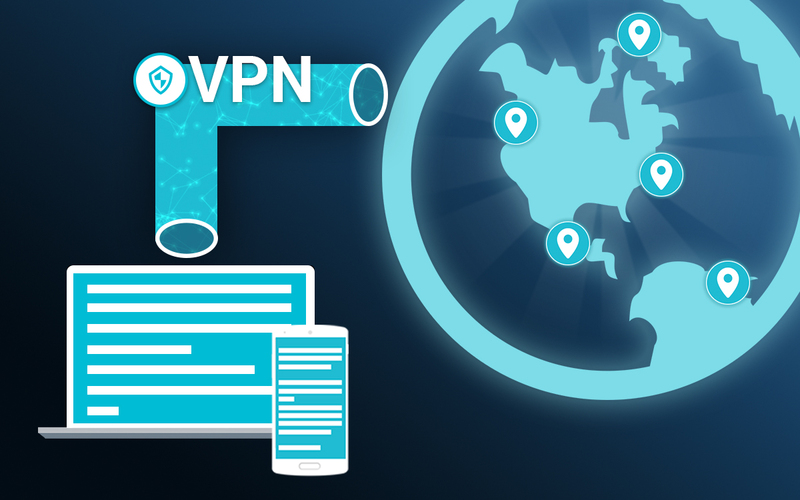 When you connect with a VPN, your device exchanges “trusted keys” with the network, which creates a secure connect. VPNs allow for private browsing, as well as protection against thieves who are trying to steal your data or governments who are trying to spy on you. When you log into the internet, your computer or device connects with your Internet Service Provider (ISP). Any data sent over that network can be seen by your ISP and, potentially, by anyone else who wanted to take the time to intercept it. A VPN creates an encrypted tunnel to keep your information safe from anyone who wants to intercept it -- cyber criminals, trackers, ISPs, your employer, etc.. In order to create a secure connection, a VPN asks your computer to exchange a set of secure “keys” with its server. Once the server verifies that you are who you say you are and your computer does the same for the server, the VPN creates an encrypted tunnel. As long as you’re connected to the VPN, all information sent over the internet on your device will go through that encrypted tunnel. VPNs are a great choice for anyone who wants to protect their data. Good ones are easy to use, don’t interfere with your connection, and keep all of your data protected. Even if you choose not to connect via a VPN every time you go online, you should always use when when you’re connecting via public wifi. Any wifi connection that doesn’t have a password or has a password that’s freely available to a large number of people — like in a cafe, for example — is at a high risk of intercepted. Cyber criminals love public Wi-Fi because it gives them easy access to many targets. Learn more about VPNs on our blog.